Have you ever wondered why “not so important” topics get attention while your well-written posts with “important” information go unnoticed? Every now and then, new articles and posts sprout up on the web, because of the insatiable demand for content from users. With numerous write-ups available on the web, it’s practically impossible for users to read each and every post, and thus they use titles to decide which post they’ll like to read. This clearly indicates that your posts titles acts as a magnet that helps capture attention of reader’s. According to online reports (source:brentcrouch.com), split testing your blog headlines can boost conversion rate to 122%. In fact, renowned newspapers such as “Huffington Post” test different combination of headlines to know which one of them gets highest click-through rates. So, if you’re running a WordPress blog and want to test which headline will help captivate readers’ attention to your posts, then Title Experiments Free plugin is worth installing. This plugin allows to test different variations of your posts titles to see which gets higher click-throughs. Apart from your blog posts titles, the next crucial factor that help grab users attention is the design if your blog. A good-looking blog design will more likely be remembered by your visitors, and so greater are the chances that they’ll return to your blog and even share it with their friends. Therefore, It’s important to choose an appropriate theme for your blog, probably the one that present the professional image of your brand. But with a plethora of WordPress themes available online it’s easy to become puzzled about choosing the right one. 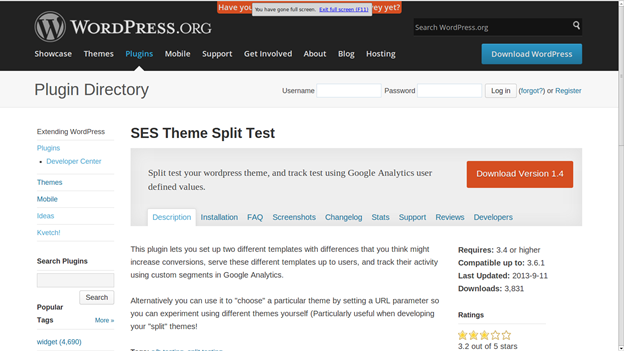 SES Theme plugin allows the decision of which theme better suit your blog on visitors. It allows to split test two different templates having a few differences that might increase conversions. These templates are shown to users, and you can track their activities with help of custom segments in Google Analytics. This will let you know which theme grabs more users attention. WordPress blog posts constitute many elements including titles, images, content and more that contributes in bringing good traffic. Wouldn’t it be better of you could carry out unlimited experiments on your posts to improve conversion rate? 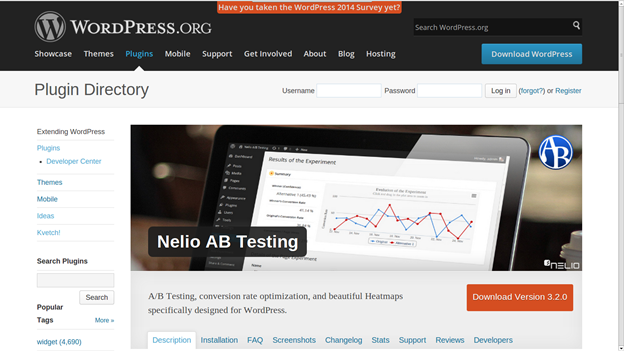 That’s possible with Nelio A/B Testing plugin. This plugin optimizes conversion rate for your WordPress website, as it let you do split testing on alternatives for your web pages and posts and apply the winning one. In addition, it allows to modify your website appearance, by testing multiple themes or modifying the CSS files. This plugin enable you to define, manage and keep a tab on A/B-testing (split tests) experiments along with beautifully Heatmaps. The Heatmaps feature prove to very useful, as it help you better understand about what your visitors’ like or dislike. The Heatmaps determine spots in which users show more interest or to find what they’re ignoring. With this plugin, every day you’ll obtain updates about the evolution of the experiment – as you’ll be able to view graphics about visitors and conversions. Google Content Experiments was a separate product referred to as Google Website Optimizer – a software that was used for split testing. 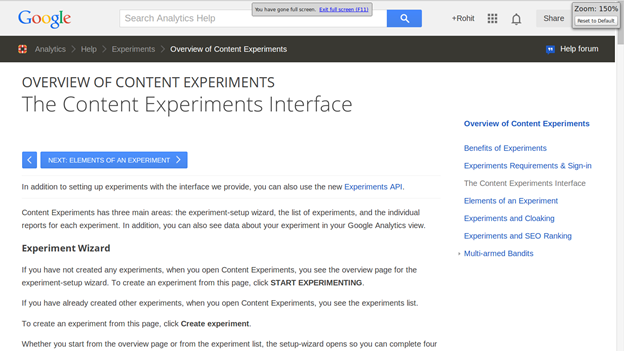 But, Google integrated Analytics to “Content Experiments” function and a plugin named Google Analytics Content Experiments came into existence. 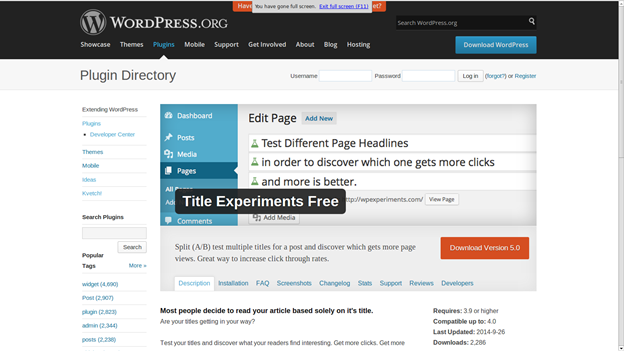 This plugin allows to do content experiments on your WordPress website. Each experiment have an objective – that is testing your post variation to know which one leads to successful conversion. Another vital element that help attract users’ attention is calls to action, also referred to as CTA. Calls to action are proven ways that help drive more traffic and converts leads to potential clients on your website. If you want to add CTAs in your WP blog posts, then running A/B tests on calls-to-action button will enable you to know which one proves effective in increasing conversion rate. 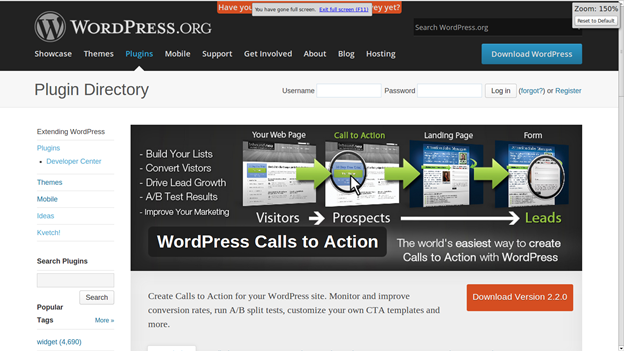 WordPress Call to Action is a great plugin that helps to track and improve conversion rates by running A/B or multivariate split tests on calls to action. It even let you customize your CTAs. After reading this post hopefully you’ll know about the tools using which you improve your WordPress blog posts conversions. Although, there are several other WordPress plugins available in the WordPress plugin repository that can be used for A/B split testing, but the above mentioned WP Plugins are the most useful and widely-used ones that you should be aware of! So, what are you waiting for? grab the plugin that best suit your needs. Author Bio :- Ben Wilson is a professional writer and WordPress developer. He provides conversion services like HTML to WordPress theme conversion services and many more. He likes sharing ideas and thoughts online. 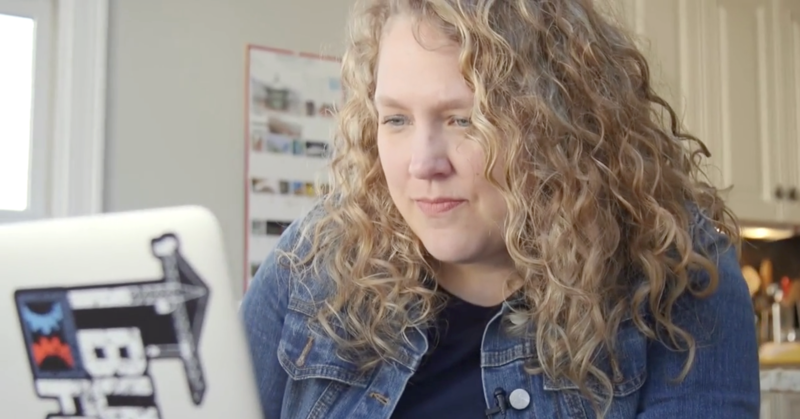 Are you considering having a new logo designed? Are you wondering how to incorporate a hidden message to really set your business aside from your competitors?